Performing for the video "Challenging The Status Quo"
Collaborating in the video of Timo Franc. January 2011. "Meet the G8" street performance with the Politicart project. Performing "In the World's Web". December 2011. 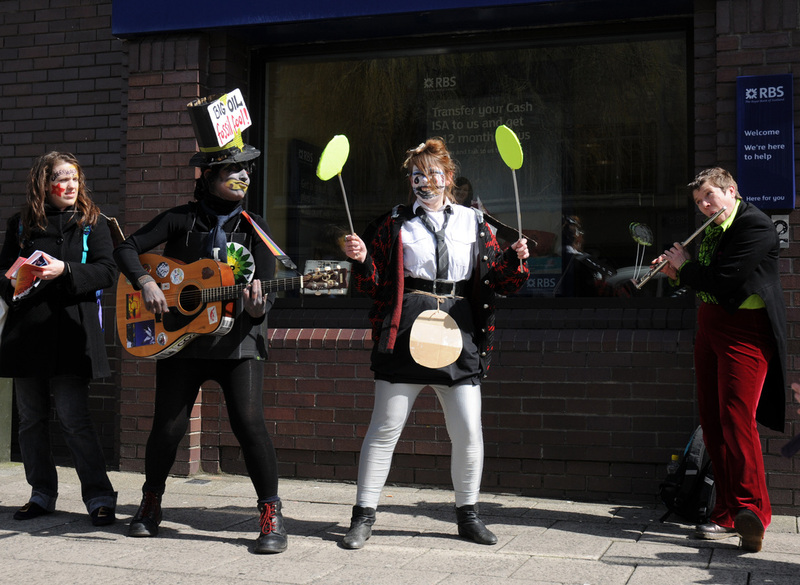 Music & theatre for Climate Justice. April 2010. Music & script by Anairda. -"EL Juglar" Theatre company. Guayaquil. Initiation to Theatre. Improvisation, Creativity & basic drama techniques. - Miguel Arce's Theatre. Guayaquil. Youth Theatre training for stage performance. - The House of Culture Guayas. Guayaquil. Drama for Theatre & TV - included stage acting, performing for camera and making scripts for short videos. - Luis Aguirre Ford's Theatre troupe. Theatre under Grotowsky influence, including physical training, acting, history of Theatre and collective creation (devised theatre). -"Chekendengue" Theatre group from Uruguay. Theatre techniques based in the 'Odin Teatret' physical training and the Theatre Anthropology theory. -"Ensamblaje" Theatre company from Colombia. Popular/people's theatre, including physical training, working with big crowds, stage design for open-arena theatre and traditional storytelling. When I met Theatre Ahtropology I discovered an endless source of inspiration and the foundations to build my own path. My Theatre style relies on working from the body's mind to create and develop characters; exploring instinctual, physical, pre-expressive tensions and in constant research for new resources to experience, devise and deliver my work. My practice also focus on the intimate connection between the personal, the political and the ritualistic. I was away from the stage for a few years, moving and settling down in the UK but I returned to performing in 2011, at the 'In the Flesh' festival. 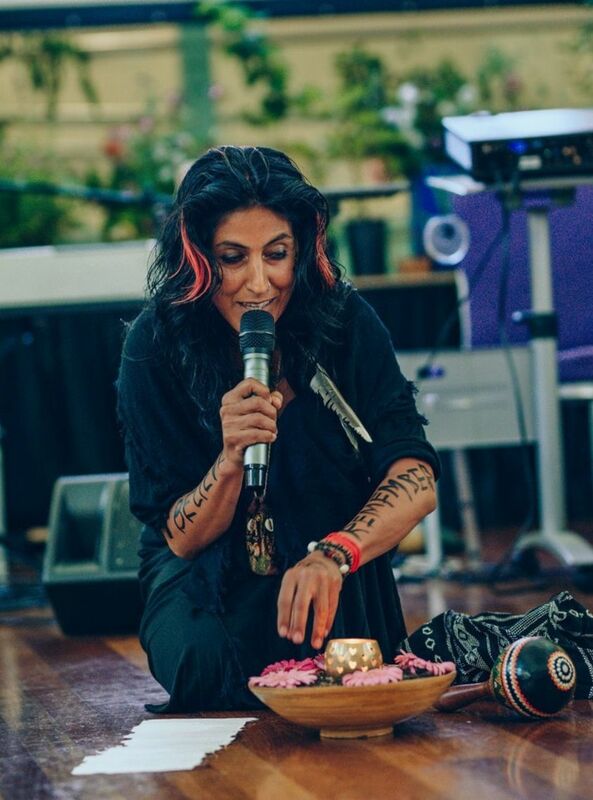 I've developed workshops and short performances with socio-environmental/community themes. All my work is dedicated to open a space in the community for dialogue and awareness. I particularly enjoy working with educational and community centres, community groups, festivals and community events. Solo performances available to be presented for educational purposes, with a facilitated discussion at the end. 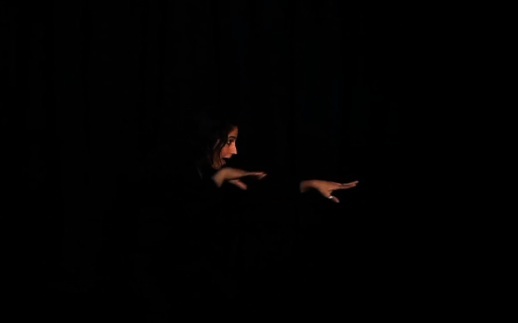 Short performance exploring human fears from birth to the adult social being. Debuted at The Pelicano's festival, 1997, Ecuador. Performance about being an individual in a multicultural but disconnected world. 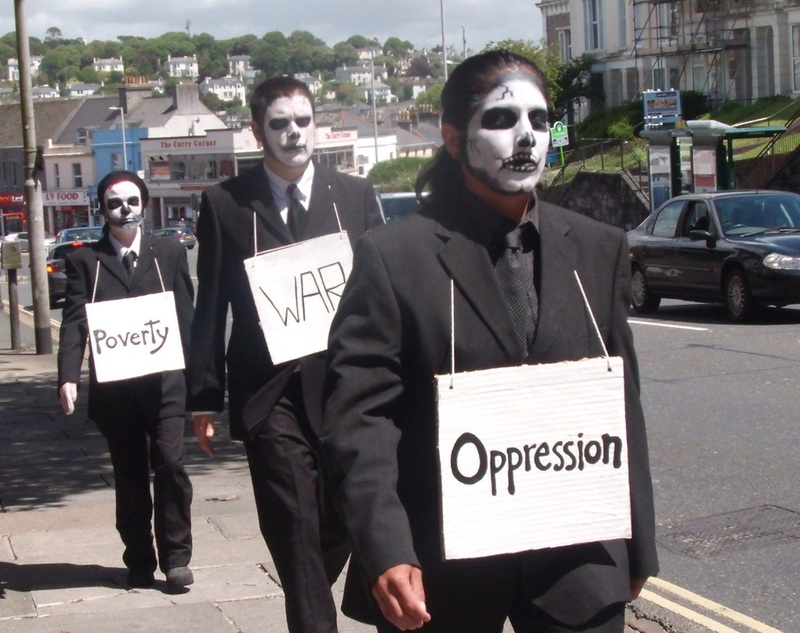 Debuted at In The Flesh festival, 2011, UK.